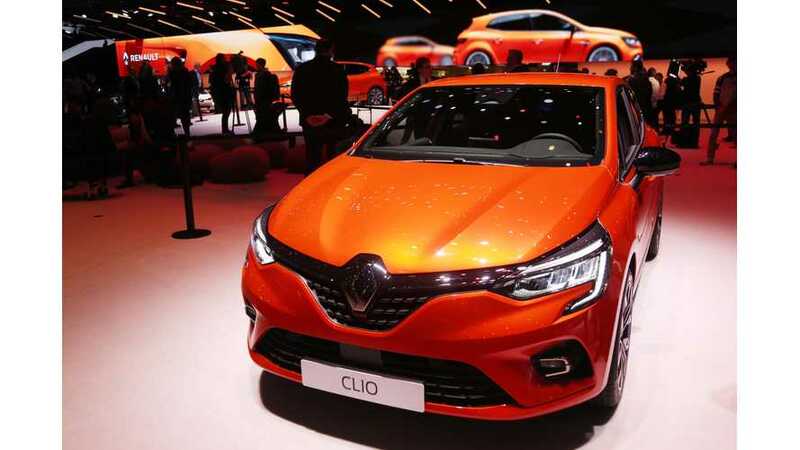 Renault unveiled at the Geneva Motor Show the fifth generation of the Clio, which is one of the best-selling cars in Europe. The French manufacturer already sold 15 million Clio since its introduction in 1990. We would not bother that much because it's a gas car, but while we are awaiting the arrival of the new Renault ZOE, we guess that a lot of changes in Clio will be found in the new ZOE (both models are produced at the same production line in Flins, France). The interior is significantly improved. The first thing we notice is the new 9.3-inch vertical touch screen for multimedia. The second thing is that Renault is launching hybrids under the E-Tech name and the new Clio will be first with an E-Tech hybrid system. Media reports that E-Tech is coming with just 1.2 kWh battery (for up to 5 km of all-electric range at low speeds) and it's a non-plug-in hybrid option, but who knows, maybe that will change in the future. 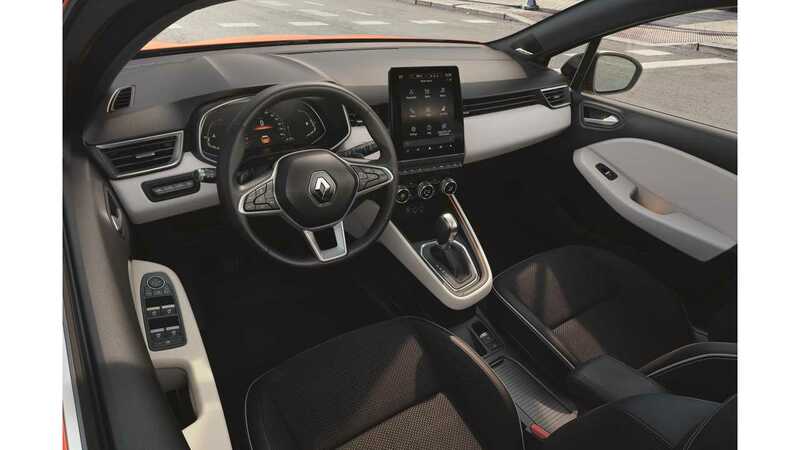 Renault Captur and Renault Megane are expected to get E-Tech Plug-In systems with 9.8 kWh battery for up to 50 km (31 miles) of all-electric range. UK sales begin Autumn 2019. Full press kit now available here. Renault is presenting the All-New Clio, the fifth generation of the automotive icon having sold some 15 million units. Launched in 1990 the Clio has become Groupe Renault’s best-selling model worldwide. Clio represents the French population's favourite car more than any other model and has risen to the top of the B segment in Europe since 2013. In a remarkable sales performance, Clio sales have increased each year between 2012 and 2018. From Clio I, it “has all the makings of a larger segment vehicle”. Like the model launched in 1990, the All-New Clio features technology found on higher-end vehicles such as Mégane. Designed according to the “Evolution and Revolution” principle, the All-New Clio rewrites the rule book with more mature body styling and an entirely revamped interior. Featuring more sculpted lines and a more assertive front end, the All-New Clio gains in vitality and modernity while remaining instantly recognisable, even though it comprises 100% new parts. Inside, the revolution is strikingly clear. The completely redesigned interior is inspired by higher-end segments, both in terms of perceived quality and available technology. These strengths benefit all motorists, bringing them greater practicality and ease of use. Electric: by the end of the plan, Groupe Renault will offer 12 electrified models in its range. The All-New Clio will be the first with an E-Tech hybrid engine based on technology developed by Renault. Connected: also by the end of the plan, the company is targeting 100% connected vehicles in its key markets. The All-New Clio perfectly illustrates this momentum with its new connected multimedia system developed by Renault-Nissan-Mitsubishi. Autonomous: by the end of the plan, Groupe Renault will market 15 models equipped with autonomous driving technology. The All-New Clio will be a pioneer in this respect by making the driver assistance systems leading to autonomous driving widely available on a city car. The pioneer of a new generation of Renault models, the All-New Clio is also available in a new R.S. Line version, inspired directly by Renault Sport.